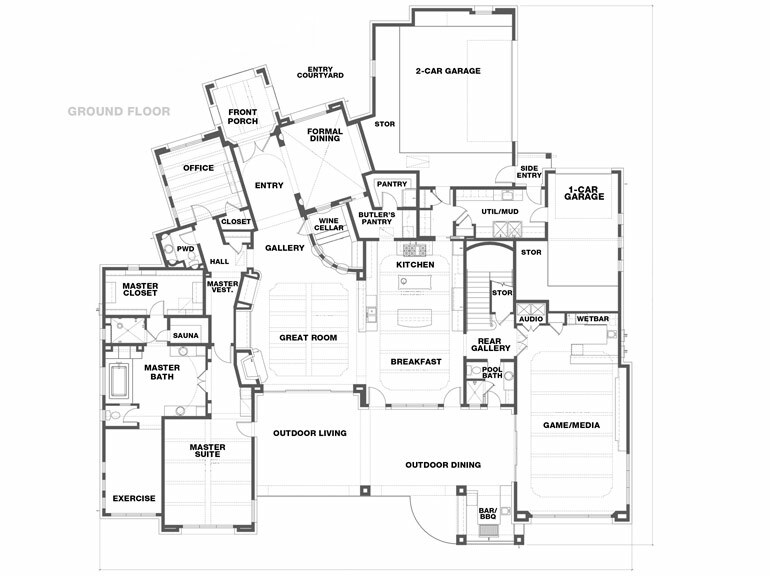 This large-footprint transitional Mediterranean villa floor plan by Geschke Group fits perfectly on an acreage lot and offers a large master suite with a sauna, an exercise room and a sizable walk-in closet. A large study or home office sits across the entryway from the formal dining room and there are large, airy spaces for the great room and a game- or media- room on the ground level. Covered outdoor living and dining space with a built-in BBQ and bar is great for entertaining. 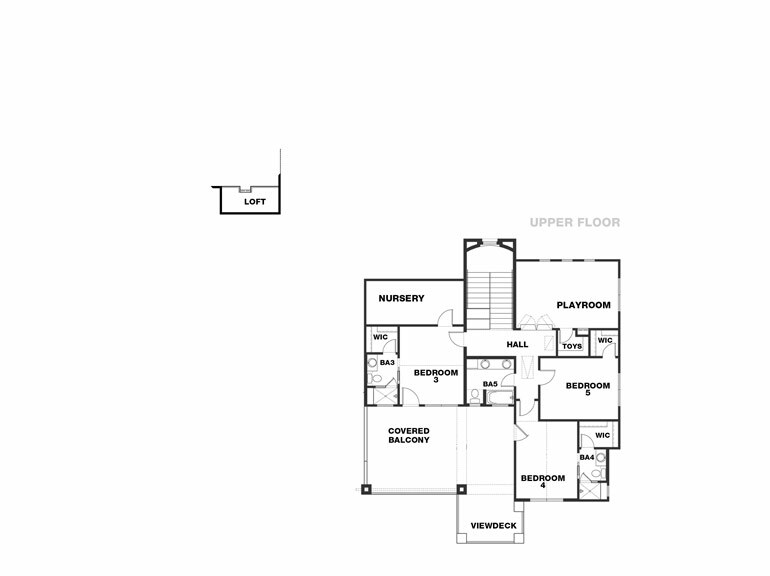 On the upper level there are three bedrooms with full baths and walk-in closets and wo large upper floor rooms can serve as a nursery and a kid’s playroom – complete with a toy closet. and And there’s an option for a small loft bedroom as well as a covered balcony and a view deck.